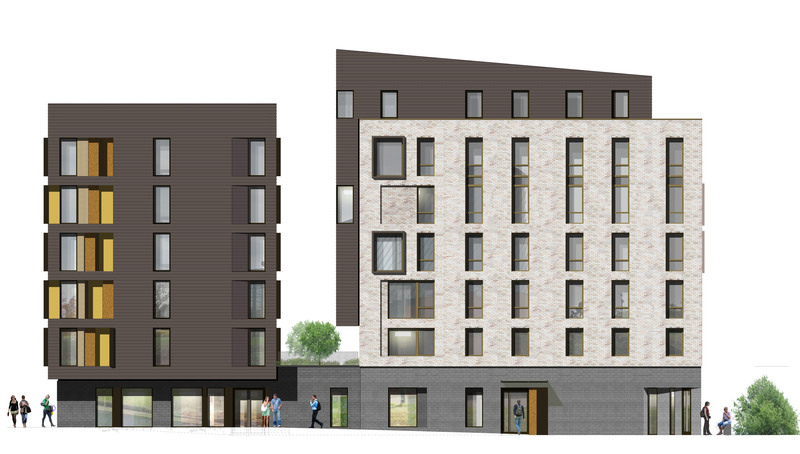 Planning has recently been granted for our striking 142 bedroom student residential project in Coventry City Centre. Comprised of a mixture of en-suite study bedrooms with communal kitchen/living rooms and self-contained studio’s with compact kitchens and en-suites, the new accommodation will sit on a prominent corner of the city to create a ‘gateway’ landmark feature building. It is hoped the development will act as a catalyst for future urban regeneration in the local area. Following the success of our other recent projects it is anticipated that this scheme will also achieve a BREEAM ‘outstanding’ rating. The highly sustainable design will redevelop this previously industrial brown field site that was historically part of the Roll Royce aero engine works. The proposed development will commence on site before Christmas to be ready for students in September 2015.